Does it make it any better if I say I’m quoting the Nico version? I’m just kidding, I love the Doors. Overrated by teenagers everywhere, but underrated by music snobs. I just looked at this page for the first time in a while and realized it’s been almost a year since the last post/update, and I’ve never officially said goodbye. 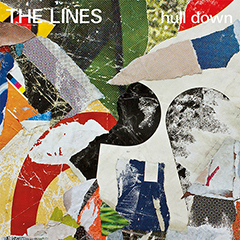 The release of Hull Down by The Lines is, as was announced back then, our last release. We had a good time, we released a handful of CDs and records over a too long period of time, but now it’s time to move on. Not planning on releasing anything else or updating this blog, so figured I’d come up with an appropriate way to end it. I know most labels these day have more releases on a single record store day than we did in 15 years, but humor me my melodrama. Thanks to Todd Hyman and the Carpark Family (Jason, Steph, Reese, Katie, Alec) for getting this stuff out there, and thanks to all my friends who pitched in or helped out, especially unofficial Acute partner Michael Train and Rob Carmichael, D.V. Caputo and Max Clarke for web help. If you want to keep in touch, I’m keeping the Acute Records facebook page going as a place to post updates and info about artists we’ve worked with or just generally cool stuff I think might be of interest to the type of people who’d care about the same musics. Beyond that, please check out my tumblr Danecdotes, which I intended to use to publish all kinds of stuff but it’s mostly used for posting youtube music videos at 3 o’clock in the morning. Various DJ mixes, of the dancing and or listening variety, can be found on my mixcloud page, and some of my own music is on soundcloud. Do I have any other homes on the internet? You bet I do! I have a personal page at danselzer.com that was set up to promote DJing and may be updated one day. I have a site for my (mostly currently dormant) printing activities at Sheffield Product and an online design portfolio at Behance. Finally the personal site for my wife and I, most useful for our trip blogs, DAN + NICOLE. I’m probably missing something and I’m sure there will be more. Just find me on facebook. Finally I thought it would be fun to end this with a list of a bunch of stuff I hoped to put out one day or wish other people will. Some of this stuff I started talking to people about but just never got it together. You can make it happen. First some of the Acute stuff needs to come out on vinyl, especially The Prefects. That would be killer. Age of Chance’s pre-club music tracks. It’s Immaterial’s early singles and EPs.